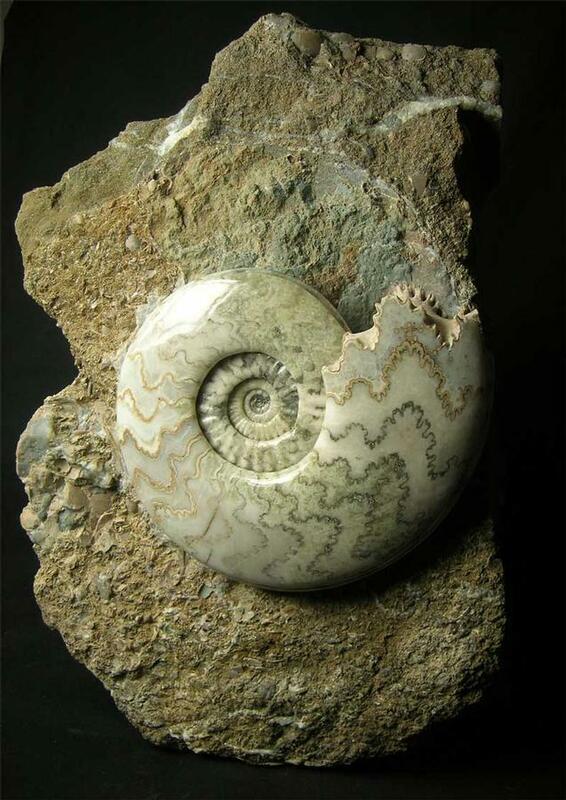 This magnificent Scunthorpe ammonite was discovered in 1994 and has remained in the same collection ever since. 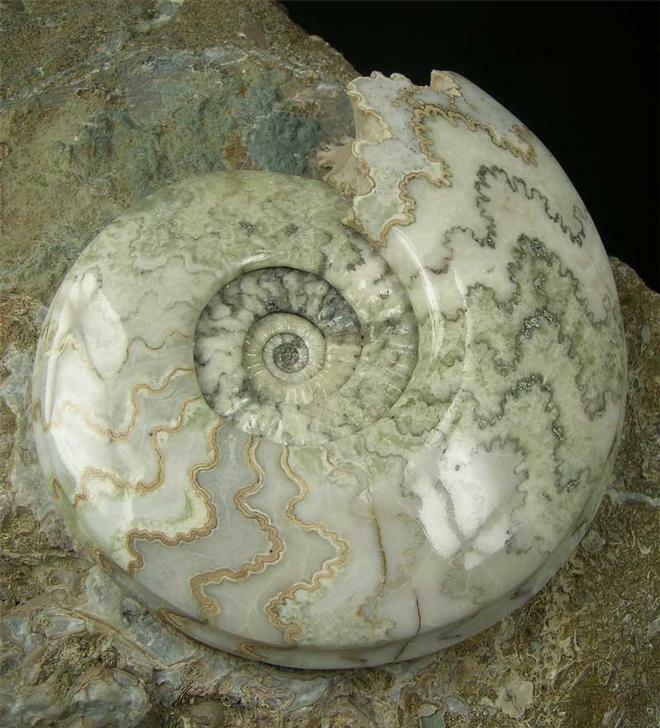 The ammonite itself has had its outer shell taken off then ground to a gem smooth finish, then a professional polish applied to reveal the shell's stunning colours which include greens, cream, browns, greys. These ammonites are amongst the most highly prized fossils in the world and in some collectors eyes, the most sought after ammonite. The shell lies in a generous piece of matrix and comes with a chrome display stand. 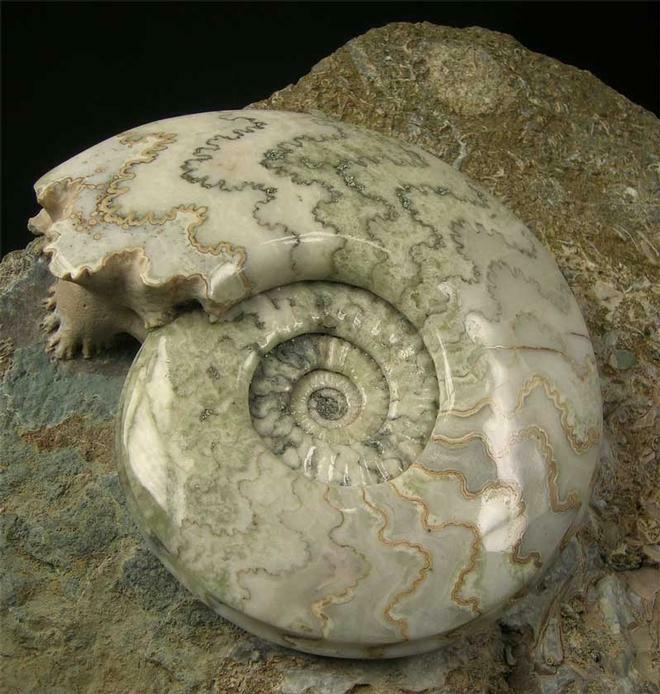 All the quarries in Scunthorpe have now closed down and been filled in, so not only are these wonderful ammonites a sound investment but you will see very few of them with high quality such as this one for sale on the open market. 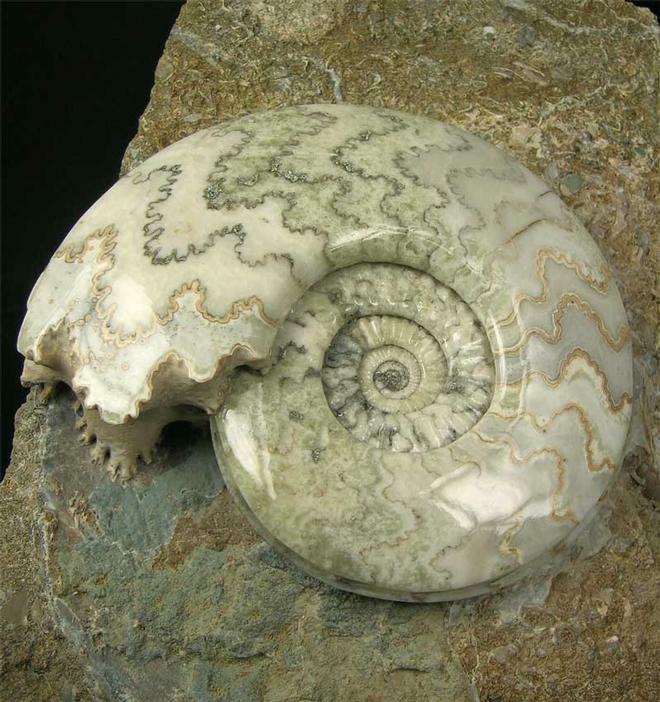 Here at Fossils Direct we strive to bring to our customers the very finest fossils from around the United Kingdom. Approximately 200 million years old.